I can’t remember the last time I did a crafts post. A few arts posts, sure, but I think the last time I did a crafts post was back when I first started blogging and I drew on a mug with a marker. This craft took a little more effort than that. But not by much. I went outside because I needed somewhere well-ventilated. 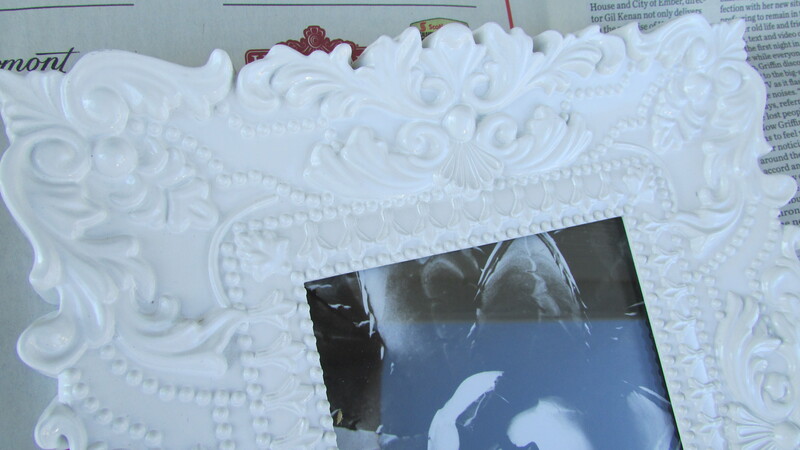 I found the picture frame at Walmart for $10 and although I loved the baroque-style detail, the fact that it was all white made it look cheap. 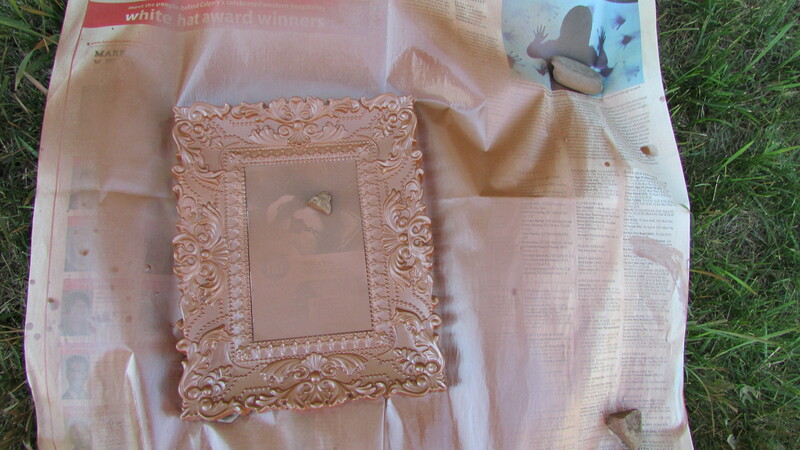 I got copper spray paint, although you might prefer gold or bronze if you decide to try it because they’re more classic. 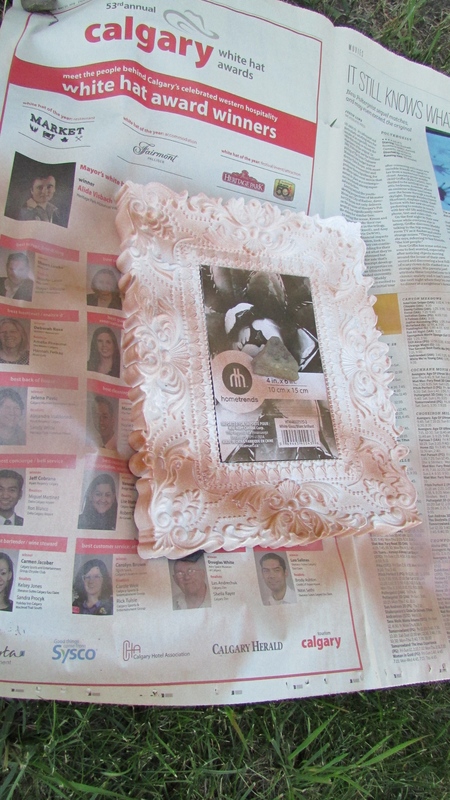 The glass of the picture frame was glued in, so I covered it with the picture from the inside. 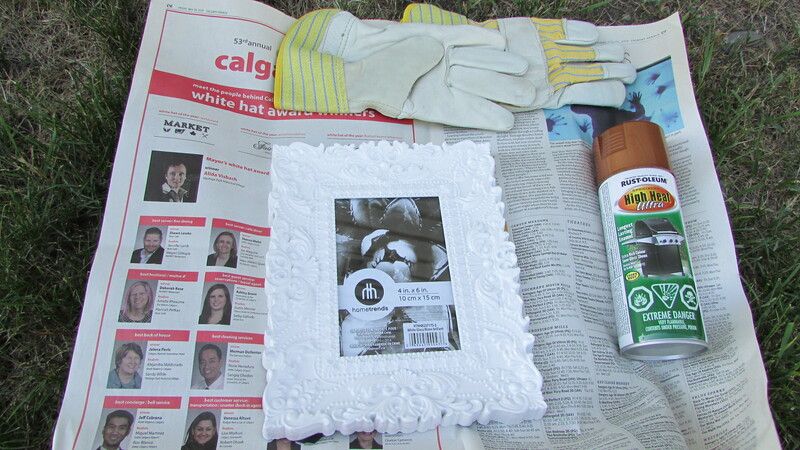 Then I put on the gloves and started spraying from side to side. I started having some trouble with the gloves because they were a bit big for me and would get in the way of the nozzle and make the paint drip instead of spray, so halfway through, I got rid of them. 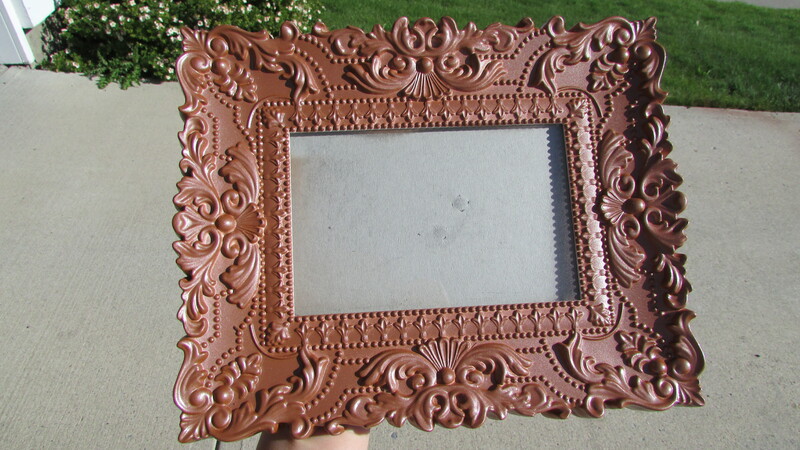 I sprayed the entire frame, making sure to get the sides, too. In the end, it looked pretty fancy. I’m sure it’ll be a beautiful piece for my room! It was really easy and pretty cheap. What do you think? Have you done something similar before? Do you plan to do something similar soon? What colour would you choose to spray paint it if you could? Tell me below!